Enjoy main-level living in desirable Farragut neighborhood of Bridgemore. Luxurious Master Suite with stunning ceiling detail and spa like bath, 2 Bedrooms – each with Ensuite Bath, Kitchen, Great Rm, Morning Rm, Den and Formal Dining Rm on the main level. Deep covered porch with outdoor Fireplace and gourmet Grill – perfect for entertaining or enjoying the gorgeous E. Tennessee evenings. Upstairs is a spacious Bonus Rm, 4th Bedroom with Full Bath and ample walk-in storage. Bright and open floor plan with beautiful finish details chosen by professional Interior Designer. Home is currently under construction. Estimated completion is April, 2019. 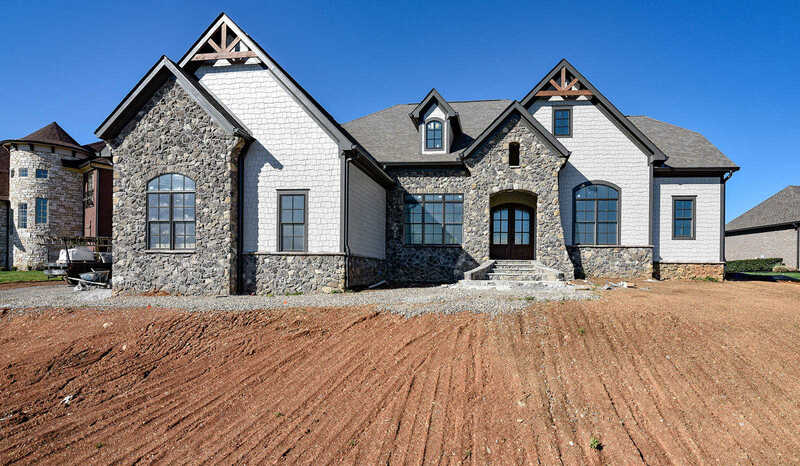 Please, send me more information on this property: MLS# 1069420 – $900,000 – 633 Barnsley Rd, Knoxville, TN 37934. I would like to schedule a private showing for this property: MLS# 1069420 – $900,000 – 633 Barnsley Rd, Knoxville, TN 37934.